Animate Girls Festival 2018, Japan’s largest event targeting female otaku, returns to Ikebukuro, Tokyo bringing two days of events for otome anime fans this November, with lineups for stage programs announced on Thursday. 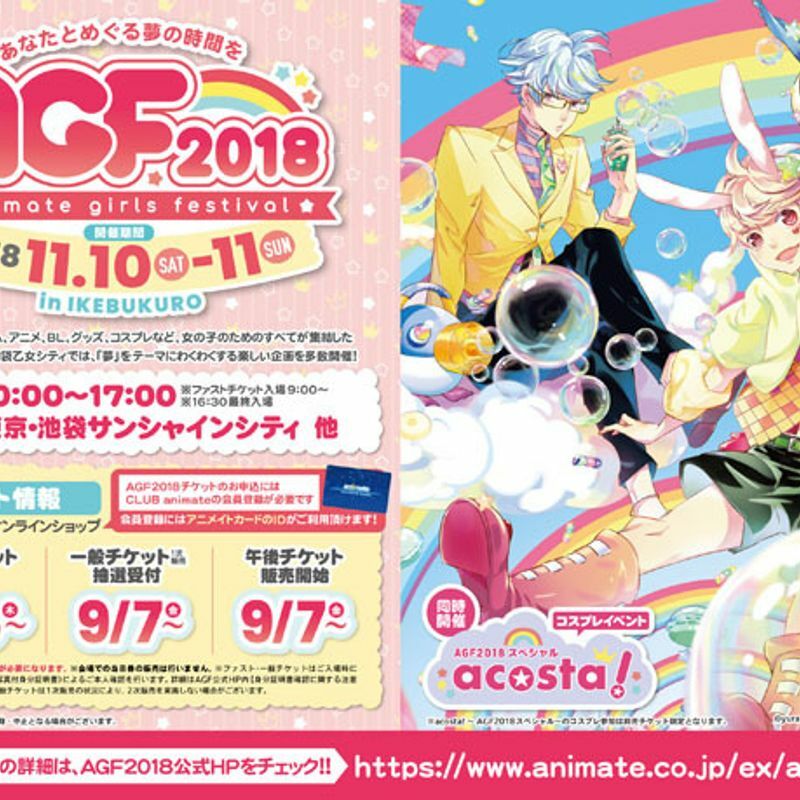 Animate Girls Festival (アニメイトガールズフェスティバル) 2018 / (AGF 2018) organizers, the Animate Girls Executive Committee, have revealed that the event’s Fountain Plaza Stage will play host to a program of 10 items over the course of the two-day festival, held in and around Ikebukuro Sunshine City, in Tokyo’s Toshima-ku. Day one at the Fountain Plaza Stage will open with a talk show featuring cast members from the television anime Idol Master SideM (理由あってMini!). Also appearing on the opening day of AGF 2018 will be cast members from Ikemen Live Koi no Uta to Kimi (イケメンライブ 恋の歌をキミに), and there will be special stages for On Air! (オンエア！) and A3!. DMM GAMES is set to open the stage on day two, the Internet / e-commerce giant expected to make announcements about upcoming titles. DMM GAMES will also have a booth at AGF 2018 featuring an exhibit of the idol project Starry Palette (スターリィパレット). Special stages featuring Sarazanmai (さらざんまい) and DREAM!ing are scheduled for the second day at the stage. Tickets for the Fountain Plaza Stage are available online, although there will be a free viewing area for fans unable to get tickets. The brainchild of Animate Ltd., Japan’s largest retailer of anime, games, and manga, Animate Girls Festival is billed as “bringing together everything for girls at the largest festival in Ikebukuro” across stage events and exhibition booths. 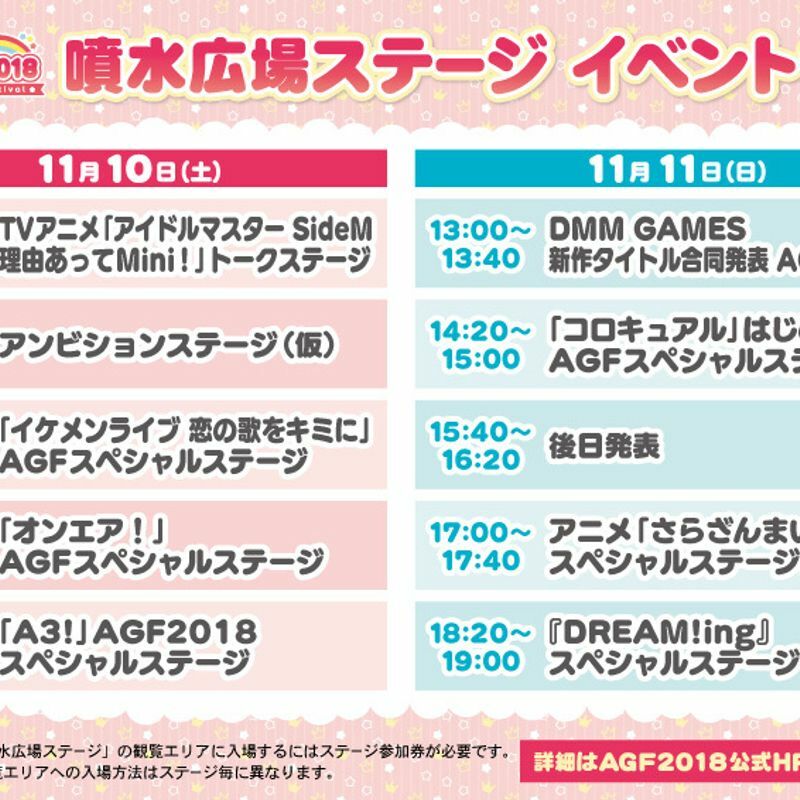 The theme for AGF 2018 is “dream” (夢 / yume) under which event organizers are set to deliver a celebration of otome games, anime, comics, the “boys love” (BL) genre, cosplay, and other goodies in and around the Ikebukuro Sunshine City venue, with over 100 exhibition booths expected for the event. 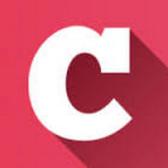 Cosplay event specialists “acosta!” will also be holding events across both days of AGF 2018. 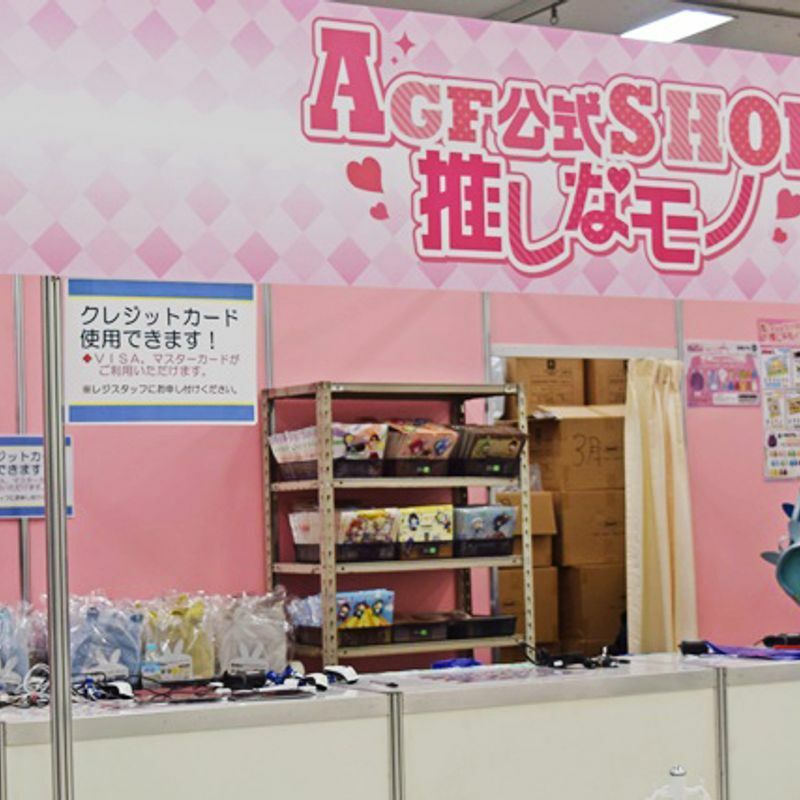 Since the inaugural event in 2010, AGF has been growing in scale, breaking out beyond the Sunshine City venue and into the streets of Ikebukuro adding to the area’s reputation as an anime and manga hub, especially for girls. Animate Girls Festival 2017 attracted over 85,000 visitors, inside and outside the primary venue. Special “fast” tickets for AGF 2018 went on sale (online) in mid-August while regular tickets will be sold across two sales periods (online) in September and October, depending on availability. I have tried mightily to get information on this and failed miserably. Do you need a ticket to enter the festival at all? Or is the ticket just for the stage shows? I wanted to try to go, but the general tickets (when they were available) seemed to require a photo ID with your name in kanji and the afternoon tickets for Saturday are out now.